Julia, I am so sorry. I know how this loss and saying goodbye hurts so very much. Those furry friends are just so integral in our lives. I hope your pain eases up in the coming days. So sorry for you, Julia, and it’s a feeling I know all too well. Hang in there, my friend. Thank you, Chris…. your support really means a lot. Right back at you, my friend. I have no words. I’m SO sorry. Know you are in my heart and I’m here if you need to talk and cry. …I really wish I had magic words for you, tho. Hugs my dear friend. I know what you mean about not being alone while writing, and I know how damn quiet and still the house becomes after such a passing. I wish you peace in that stillness. Fill that hole in your heart with stories of Abby’s love, and her kindness (YES, a dog can be kind!). Good for you for pushing on! Sending hugs your way. Thanks for your kind and understanding words and hugs, Vaughn. Support from writer friends who understand that quiet and stillness means so much. Yes, the stories are helping fill the loss. Thinking of you dear friend. You know I admire and support your commitment to writing, just don’t forget yourself in the process. You may need time to grieve. Our long-time, loyal pets are family members, and you have just lost one. I have no doubt you could put the book down for a bit and then get back to it. Take care of yourself, dear. Thank you so much, Christine, your support means so much. Thank you for the reminder — I’m working hard to make sure I don’t forget about myself (not easy for me). Your sympathy and kind words mean so much. I hate this. A great dog is an unbeatable companion. So selfless in their love. Such a hard decision. But harder to see her laboring so. It is a gaping space. You have to mourn but writing is an outlet for that emotion. Hug. My dear friend, I don’t know all that’s going on in your life beyond the loss of your precious Abby, but I’ll be lifting you up in my thoughts and prayers. And I’m so incredibly proud of you for pushing through this difficult time and pouring your soul out in writing. Much love to you and the rest of your family. My heart is with you right now. I’m watching Lizzy, my older dog, slow down more and more and realize the time will come sooner than I am ready to make that choice. I still have time though. But I admire you writing through it. I don’t think I’m going to succeed at NaNo this year. Life truly has gotten in the way. I am sitting at my dinning room table tears coming from all direction Julia because I’ve been there it’s so tough . You think you with never get through it …but you will . Keep writing I’m sure Abbey will be right at your side in spirit…Hugs and hugs more. It’s very tough, isn’t it? I love thinking of Abby by my side in spirit. Thank you for your kind words and hugs, too. I was once friends with a psychoanalyst, a very good one. He told me that other than the loss of a close (human) family member or friend, nothing was more grief-filled for his patients than the loss of a treasured dog or cat. 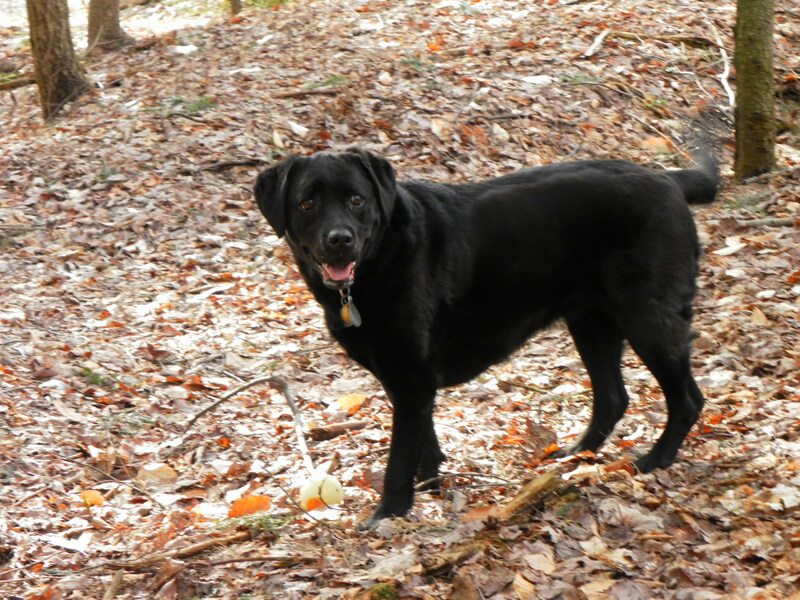 For me, there is only one way to redeem such loss: to do my best to stay focused on how lucky I have been to know the person or, in our case, Chelsea, our rescued border collie mix. A year ago, almost nine years to the day when we brought her home, we had to make the hard choice for her that you’ve had to make for Abby. Please accept my sympathy. And try to think of how diminished would have been all those years, had you not known the privilege of living with your wonderful dog. And how lucky Abby was to live with you. Barry, Thank you. For understanding, for your kind words, and for your sympathy. I so appreciate it. Yes, staying focused on how lucky I have been to know her is the most redeeming. My sympathies to you about Chelsea as well. Thanks again, take care. Julia — I’m so very sorry for your loss. Losing a companion animal is one of the harder things life throws at us. This post was a lovely tribute to Abby, your soul dog. Thank you so much, Laurie — I very much appreciate your kind and compassionate words and your support. Julia, I’m so sorry. I loved Jackie’s comment. I won’t try to say it any better. I loved Jackie’s comment too… and I so appreciate your sympathy, Nina. Thank you so much. Yes, it has definitely been a sharp stab to the heart, and also a slow simmering burn that comes in waves. I’m relying on the writing… and the memories of Abby. Thanks for the hugs and support, Barb, much appreciated. I am so, sooooooo sorry to hear about your beloved Abby. I, too, spend many lonely hours at my dining room table, with my two cats, Chance and Chester, keeping me company. They are both old, and when it comes time for them to reach kitty heaven, it will leave a huge hole in my heart, and my writing days. My deepest condolences to you and your family. I’m sorry I haven’t interacted with you, or any other of my blogger friends, in over a year. I stopped blogging altogether to write my novel, which I finished this month. So I feel the pain you describe in this post!! It took me over a year of working a corporate, 50-hour-per-week job and chipping away at my story after-hours to finally finish it. In fact, I had to quit corporate America to complete it at all. You do hit those lows, wondering if you’re writing nothing but dribble, paralyzed in your own writer’s block, petrified that your story is going nowhere. Keep pushing on, though, force those occasional 300-word sessions, and I promise, the flow will spark again! Big hugs to you, Julia. 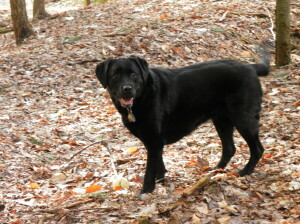 Been there–we lost our beloved dog, Luci, a couple years ago. It was a gift to be with her at the end, giving her love. One thing that helped the empty silence of the house was putting an 8″X10″ photograph of her in the living room. It gave us back a little of her sweet presence. Julia, you write of this experience so matter-of-factly and yet so beautifully, and I love the way you’ve tied it with writing. Just lovely, and so sad. I’m so so sorry to hear you’re going through this. When I wrote of a similar situation, you told me of Abby’s failing health, so I know you must have been dealing simultaneously with the undercurrent of anxiety and worry, but also the heightened awareness of how precious each day together was. Still…oh so hard. My healing thoughts are going your way. Thanks so much, Diann. I remember writing that to you when you lost your sweet cat Sox. Thank you for your kind words. It’s gotten easier (especially with our terrible ice, realizing how challenging it would be for Abby), but I still miss her all the time. As you say, it’s becoming sweeter and more dealable. Thank you so much, my friend. Hi. I just read you on Writer Unboxed. Sorry about your beautiful lab. We once had a black lab, too. It was the hardest thing in the world when we lost him…. we still miss him.